Code of Civil Procedure - Order XXXVII - Summary Suits - if any part of amount claimed by the plaintiff in the suit is admitted by the defendant to be due from him, the leave to defend the suit shall be granted only if the amount so admitted is deposited by the defendant in the Court, notwithstanding the fact that the triable issue or a substantial defence is raised by the defendant. Constitution of India - Articles 226 and 227 - The power of superintendence is intended to be used sparingly and only in appropriate cases for the purpose of keeping the subordinate Courts and the Tribunals within the bounds of their authorities. This power, however, is not available for correcting mere errors of law and fact. In an appropriate case where it is sufficiently demonstrated that grave injustice or failure of justice has occasioned and the Court or the Tribunal subordinate to the High Court has assumed a jurisdiction which it does not have or the jurisdiction though available has been exercised in a manner which would tantamount to overstepping the limits of jurisdiction. The High Court can step in to undo the wrong. Appearance: For Petitioner(s): Ms.Tabasum Zaffar, Advocate. For Respondent(s): Mr. M.A.Qayoom, Advocate. 1. Supervisory jurisdiction of this Court vested in terms of Section 104 of the Constitution of Jammu and Kashmir is invoked by the petitioner to assail the validity of order dated 29.10.2008, passed by the learned Principal District Judge, Kargil (hereinafter referred to as the ‘Trial Court’) whereby application of the petitioner/defendant seeking leave to defend in terms of Order XXXVII Rule 3 of Code of Civil Procedure has been rejected. 2. Briefly put, the background facts leading to the filing of the instant petition are that the respondent has filed a suit purportedly under the provisions of Order XXXVII of Code of Civil Procedure for recovery of Rs.25.00 lacs along with interest on the basis of Hundi executed by the petitioner. The learned Trial Court entertained the suit and issued summons to the petitioner in accordance with the procedures laid down in Order XXXVII. On being summoned, the petitioner caused his appearance and filed an application under Order XXXVII Rule 5 CPC seeking leave to defend. The said application was opposed by the respondent by filing objections. The respondent claimed that in view of non-disclosure of any cogent defence by the petitioner in the application, he (respondent) was entitled to judgment forthwith. 3. The Trial Court considered the application and vide its order dated 29th October,2018, impugned in this petition, granted the petitioner conditional leave to defend. The leave was granted subject to the petitioner depositing a sum of Rs.9.00 lacs by way of security in the form of cash in the Court. The conditional leave, as is apparent from the order impugned, was granted on the ground that the petitioner in the collateral criminal proceedings had admitted his liability to pay an amount of Rs.9.00 lacs to the respondent. This has been done by the trial Court apparently relying upon the second proviso to Order XXXVII Rule 3(5) of Code of Civil Procedure. The petitioner is aggrieved of the order impugned, whereby his application seeking leave to defend has been granted conditionally and is before this Court seeking exercise of power of superintendence vested in this Court by virtue of Section 104 of the Constitution of Jammu and Kashmir to quash the same. 4. Having heard learned counsel for the parties and perused the record, this Court is of the considered view that the petitioner has not been able to make out a case for exercise of power of superintendence vested in this Court by virtue of Section 104 of Constitution of Jammu and Kashmir. The power of superintendence vested in this Court, which is akin to Article 227 of the Constitution of India, is not a substitute for the revisional powers of this Court conferred by virtue of Section 115 of the Code of Civil Procedure. “(1) Amendment by Act No.46 of 1999 with effect from 01.07.2002 in Section 115 of Code of Civil Procedure cannot and does not affect in any manner the jurisdiction of the High Court under Articles 226 and 227 of the Constitution. (3) Certiorari, under Article 226 of the Constitution, is issued for correcting gross errors of jurisdiction, i.e., when a subordinate court is found to have acted (i) without jurisdiction - by assuming jurisdiction where there exists none, or (ii) in excess of its jurisdiction – by overstepping or crossing the limits of jurisdiction, or (iii) acting in flagrant disregard of law or the rules of procedure or acting in violation of principles of natural justice where there is no procedure specified, and thereby occasioning failure of justice. (9) In practice, the parameters for exercising jurisdiction to issue a writ of certiorari and those calling for exercise of supervisory jurisdiction are almost similar and the width of jurisdiction exercised by the High Courts in India unlike English courts has almost obliterated the distinction between the two jurisdictions. While exercising jurisdiction to issue a writ of certiorari the High Court may annul or set aside the act, order or proceedings of the subordinate courts but cannot substitute its own decision in place thereof. In exercise of supervisory jurisdiction the High Court may not only give suitable directions so as to guide the subordinate court as to the manner in which it would act or proceed thereafter or afresh, the High Court may in appropriate cases itself make an order in supersession or substitution of the order of the subordinate court as the court should have made in the facts and circumstances of the case”. 6. While summing up the law and the parameters for the exercise of jurisdiction under Articles 226 or 227 of the Constitution of India, the Hon’ble Supreme Court noted that the broad principles and the parameters laid down were not exhausted and, therefore, cannot be put in a straightjacket formula. (a) A petition under Article 226 of the Constitution is different from a petition under Article 227. The mode of exercise of power by High Court under these two Articles is also different. (c) High Courts cannot, on the drop of a hat, in exercise of its power of superintendence under Article 227 of the Constitution, interfere with the orders of tribunals or Courts inferior to it. Nor can it, in exercise of this power, act as a Court of appeal over the orders of Court or tribunal subordinate to it. In cases where an alternative statutory mode of redressal has been provided, that would also operate as a restrain on the exercise of this power by the High Court. (d) The parameters of interference by High Courts in exercise of its power of superintendence have been repeatedly laid down by this Court. In this regard the High Court must be guided by the principles laid down by the Constitution Bench of this Court in Waryam Singh (supra) and the principles in Waryam Singh (supra) have been repeatedly followed by subsequent Constitution Benches and various other decisions of this Court. (e) According to the ratio in Waryam Singh (supra), followed in subsequent cases, the High Court in exercise of its jurisdiction of superintendence can interfere in order only to keep the tribunals and Courts subordinate to it, `within the bounds of their authority'. (g) Apart from the situations pointed in (e) and (f), High Court can interfere in exercise of its power of superintendence when there has been a patent perversity in the orders of tribunals and Courts subordinate to it or where there has been a gross and manifest failure of justice or the basic principles of natural justice have been flouted. (i) High Court's power of superintendence under Article 227 cannot be curtailed by any statute. It has been declared a part of the basic structure of the Constitution by the Constitution Bench of this Court in the case of L. Chandra Kumar vs. Union of India & others, reported in (1997) 3 SCC 261 and therefore abridgement by a Constitutional amendment is also very doubtful. (j) It may be true that a statutory amendment of a rather cognate provision, like Section 115 of the Civil Procedure Code by the Civil Procedure Code (Amendment) Act, 1999 does not and cannot cut down the ambit of High Court's power under Article 227. At the same time, it must be remembered that such statutory amendment does not correspondingly expand the High Court's jurisdiction of superintendence under Article 227. (m) The object of superintendence, both administrative and judicial, is to maintain efficiency, smooth and orderly functioning of the entire machinery of justice in such a way as it does not bring it into any disrepute. The power of interference under this Article is to be kept to the minimum to ensure that the wheel of justice does not come to a halt and the fountain of justice remains pure and unpolluted in order to maintain public confidence in the functioning of the tribunals and Courts subordinate to High Court. (o) An improper and a frequent exercise of this power will be counter-productive and will divest this extraordinary power of its strength and vitality”. (ii) Jurisdiction under Article 227 is distinct from jurisdiction from jurisdiction under Article 226. Contrary view in Surya Dev Rai is overruled." 9. From the discussion of the aforesaid three judgments, it is now established beyond the pale of any doubt that the orders of the Civil Courts are not amenable to Writ Jurisdiction under Article 226 of the Constitution, but could be interfered with under Article 227 of the Constitution, if the parameters laid down for the exercise of power in Surya Dev Rai’s case (supra) and Radhey Shyam’s case (supra) are met. The power of superintendence is intended to be used sparingly and only in appropriate cases for the purpose of keeping the subordinate Courts and the Tribunals within the bounds of their authorities. This power, however, is not available for correcting mere errors of law and fact. In an appropriate case where it is sufficiently demonstrated that grave injustice or failure of justice has occasioned and the Court or the Tribunal subordinate to the High Court has assumed a jurisdiction which it does not have or the jurisdiction though available has been exercised in a manner which would tantamount to overstepping the limits of jurisdiction. The High Court can step in to undo the wrong. It is in this backdrop of legal position that the facts of the instant case need to be examined. iv If the Defendant raises a defence which is plausible but improbable, the trial Judge may impose conditions as to time or mode of trial, as well as payment into court, or furnishing security. As such a defence does not raise triable issues, conditions as to deposit or security or both can extend to the entire principal sum together with such interest as the court feels the justice of the case requires. vi. If any part of the amount claimed by the plaintiff is admitted by the defendant to be due from him, leave to defend the suit, (even if triable issues or a substantial defence is raised), shall not be granted unless the amount so admitted to be due is deposited by the defendant in court”. 11. 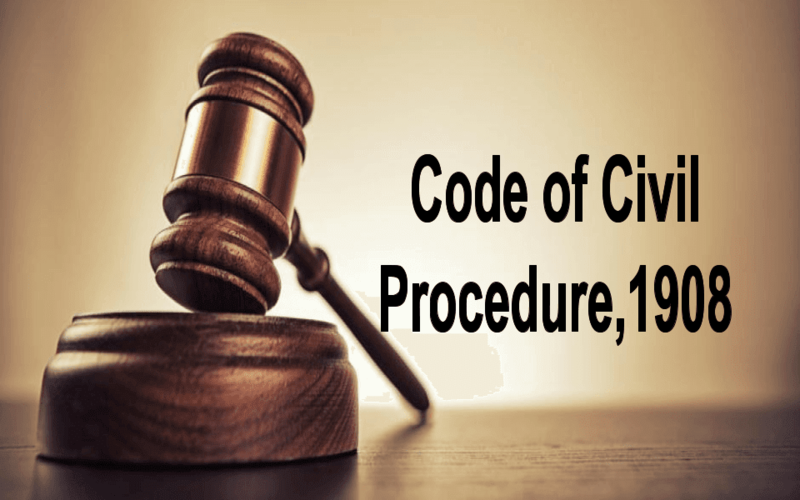 While summing up the law on the point and laying down the principles as enumerated above, the Hon’ble Supreme Court considered the impact of amendment to Order XXXVII of Code of Civil Procedure Rule 3 made in the year 1976. It may be noted that similar amendment has been carried to Rule 3 of Order XXXVII of the State Code of Civil Procedure by Act XI of 1983 w.e.f 15.08.1983. The Hon’ble Supreme Court taking note of the amended provisions of Rule 3 of Order XXXVII of Code of Civil Procedure held that the principles laid down in paragraph 8 of Mechelec, (1976) 4 SCC 687 would stand superseded and stated the law and the principles to be followed having regard to the amended provisions of Order XXXVII Rule 7 of Code of Civil Procedure. As is apparent from the law laid down and the explicit provisions contained in second proviso, if any part of amount claimed by the plaintiff in the suit is admitted by the defendant to be due from him, the leave to defend the suit shall be granted only if the amount so admitted is deposited by the defendant in the Court, notwithstanding the fact that the triable issue or a substantial defence is raised by the defendant. It is this provision which has been invoked by the trial Court in the instant case to grant the conditional leave to defend. 12. Learned counsel for the petitioner vehemently submits that the petitioner had clearly demonstrated in his application that not only the triable issues were involved in the suit, but the petitioner had a substantial defence to offer. She, therefore, urges that the trial Court having accepted the plea of the petitioner in this regard should have granted the petitioner unconditional leave to defend. It is also contended that the admission, if any, made in the collateral criminal proceedings would not bind the petitioner in the suit. It is, thus, submitted that having regard to the averments made in the application seeking leave to defend, it cannot be said that any part of the claim of the respondent has been admitted by the petitioner. 13. Per contra, learned counsel for the respondent relying upon the judgment of the Supreme Court in the case of Southern Sales and Services and ors vs Sauermilch Design and Handels, (2008) 14 Supreme Court Cases 456 contends that in view of the amendment made to Order XXXVII of Code of Civil Procedure by virtue of Act XI of 1983 w.e.f 15.08.1983, the provision i.e, Rule 3 has been altered to provide that deposit of any admitted amount is now a condition precedent for grant of leave to defend in a suit filed under Order XXXVII of Code of Civil Procedure. He, therefore, submits that earlier concept of granting unconditional leave when a triable issue is raised on behalf of the defendant has been supplemented by the addition of a mandate imposed upon the defendant to deposit the admitted amount before he is granted leave to defend. He refers to the pleadings of his plaint to contend that the respondent has categorically referred to the admission made by the petitioner in a criminal complaint filed by him before the learned Chief Judicial Magistrate, Kargil wherein he has categorically admitted that he had borrowed a sum of Rs.12.00 lacs from the respondent, but has paid three lacs and, therefore, there is only an outstanding amount of Rs.9.00 lacs which is still payable. 14. Learned counsel appearing for the respondent, therefore, urges that in view of the petitioner having not denied the aforesaid averment in the plaint in his application seeking leave, the same should be deemed to have been admitted. It is, therefore, submitted that the trial Court committed no illegality in granting conditional leave to the petitioner as has been done in terms of the order impugned. Learned counsel, during the course of his arguments, also reminded this Court of the restrictive jurisdiction of superintendence to be exercised only in accordance with the set parameters laid down by the Hon’ble Supreme Court. 3. By agreement or by notice”. 16. Order VIII Rule 5 of the Code of Civil Procedure deals with ‘specific denials’ and provides that every application of fact in the plaint if not denied specifically or by necessary implication, or stated to be not admitted in the pleadings of the defendants, shall be taken as admitted except as against a person under disability. There is, however, a proviso appended to sub rule 1 of Rule 5 of Order VIII to provide that Court may, in its discretion, require any fact so admitted to be proved otherwise than by such admission. Needless to say that all admissions made under whatever circumstances are not irreversible. The same can be withdrawn or explained by the maker. An Inference regarding admission could be drawn after considering the pleadings in entirety. The admissions could also be proved to be wrong. 17. Apart from the aforesaid provisions in the CPC, we have Order XII Rule 6 and Order XV Rule 1 which pertain to the judgment on admission. Similarly, Section 17 of the Evidence Act also deals with admission. This Court could have deliberated at some length on the form of admissions as the issue is of seminal importance, but in the given facts and circumstances, this Court has deliberately refrained from delving further in the matter. This is so as the facts of the instant case do not warrant such exercise. Even if, this Court accepts the plea of the petitioner that an admission made in the collateral proceedings, i.e. a criminal complaint filed by the petitioner in the instant case is voluntary and gratuitous and, therefore, cannot be taken to be admission of part of claim projected by the petitioner in the suit, even then the petitioner will have no case. This is for the reason that the purported admission made by the petitioner in the plaint filed by the petitioner before CJM Kargil is now a part of pleadings of the respondent. The respondent in his plaint has specifically referred to the aforesaid admission which averment made in paragraph 13 of the plaint has not been specifically denied by the petitioner. 18. There is no averment made in the application seeking leave to defend which could be construed as refuting the aforesaid claim with regard to the admission by the petitioner contained in the plaint. The total silence by the petitioner in the application on the aforesaid aspect would amount to admission (see Order VIII Rule 5). In this view of the matter, the trial Court was correct in coming to the conclusion that the petitioner had accepted the part of claim of the petitioner. In view of the aforesaid admission of fact made by the petitioner, the trial Court had no option other than granting the conditional leave, making it mandatory for the petitioner to deposit the admitted amount of Rs.9.00 lacs before he could enter his defence in the suit. 19. The other plea raised by the learned counsel on behalf of the petitioner that the petitioner was not physically and mentally fit to defend his interest in the suit and, therefore, learned trial Court should have first ascertained his physical and mental condition and appointed next friend before deciding his application for leave to appeal, is a plea too specious to be accepted. Learned Trial Court has very correctly taken note of the fact that the petitioner has filed a complaint before the learned CJM, Kargil and is appearing in two complaints filed by the respondent under Section 138 of Negotiable Instruments Act and is also pursuing his two petitions filed before this Court under Section 561 A Cr.P.C. In all these matters, the petitioner is either contesting or defending, as the case may be, without any next friend. Therefore, the plea of the petitioner has rightly not been accepted by the trial Court. That apart, this plea can be raised by the petitioner during the course of trial and the trial Court is not debarred to examine the petitioner and if it finds that he suffers from some disability which may impede his right to effectively contest the suit, it can appoint the next friend at any stage of the suit. Having said so, this Court does not find it a case of such a nature where this Court should exercise the power of its superintendence under Section 104 of the Constitution of Jammu and Kashmir. The petitioner has miserably failed to bring his case within the parameters laid down by the Hon’ble Supreme Court for the exercise of power of superintendence vested in this Court by virtue of Section 104 of Constitution of Jammu and Kashmir. 20. For all these reasons, I find no merit in this petition and the same is accordingly dismissed.